Chinese video shows work underway in preparing the Chang’e 3 moon lander mission. 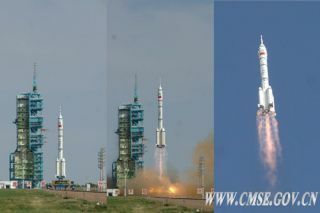 Launched in June of this year, Shenzhou 10 was China’s fifth piloted space flight mission and the tenth flight of the Shenzhou spacecraft. It was the last of the three Shenzhou flight missions intended for testing rendezvous and docking techniques with the country’s Tiangong 1 space lab. The mission lasted 15 days, the longest space trek so far in the history of China’s human space flight program.